If It's Hip, It's Here (Archives): Lado Alexi's Hauntingly Beautiful Amazones. 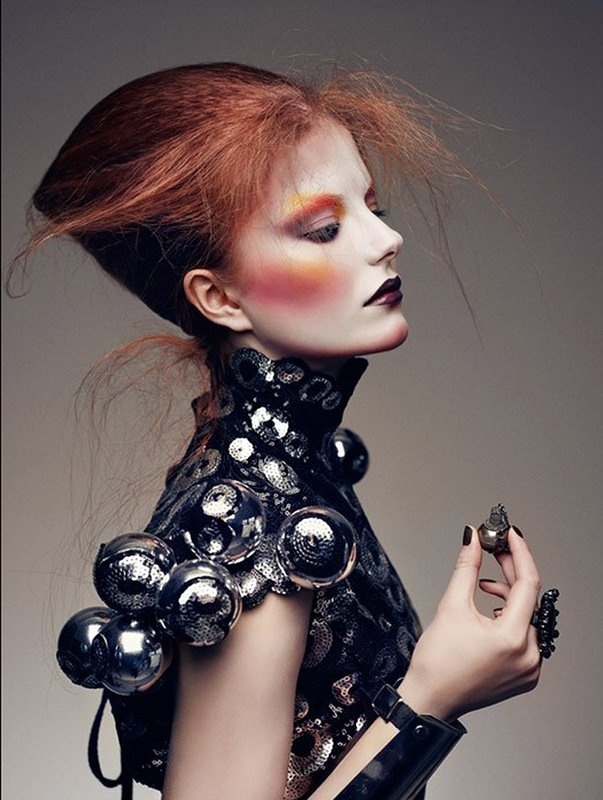 Russian-born and German-based fashion and beauty photographer Lado Alexi has many stunning images to his credit. His impressive clients include Vogue, Estee Lauder, Swarovski, YSL, Tush Beauty, Triumph Lingerie, HYPE and Icon Magazine to name a few. 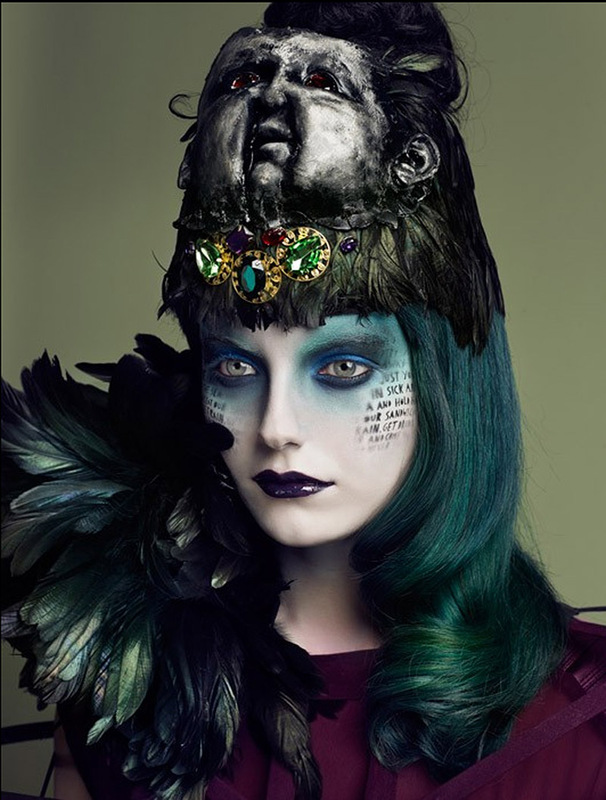 But his series of portraits titled Amazones II blends beauty with incredible makeup and styling for such hauntingly gothic portraits, I wanted to share them with you here. 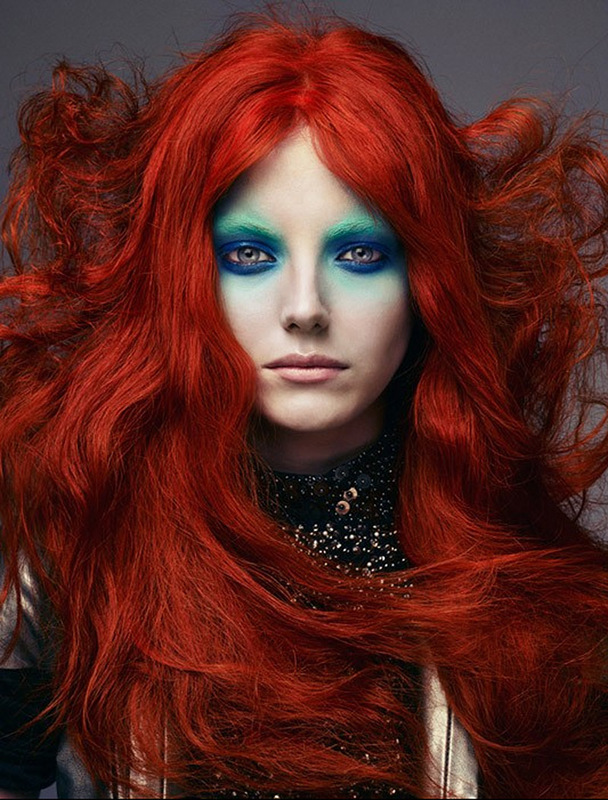 Used on the cover and in a Fall 2011 editorial called Witchcraft in HYPE Magazine, the model is Yulia Petrova, with stunning make-up by Loni Baur, hair by Karim Amerchih and fabulously styled by Nadia Rath who frequently works with Alexi. Only 6 of the 7 images (all shown here) from the series were used in the publication. – Strong interest in film and fashion. The fascination of capturing mechanically time and the visual power one single image can develop. As a son of actress and a doctor in Moscow photography was a good way to reflect the world around. – Mostly in cinema - but also art, music and daily observation. Sometimes also a certain mood, or thing that happen in the world. – Cecil Beaton, Irving Penn, Helmut Newton, Patrick Demarchelier, NIck Knight and many more. See more of Lado Alexi's beautiful photography here.